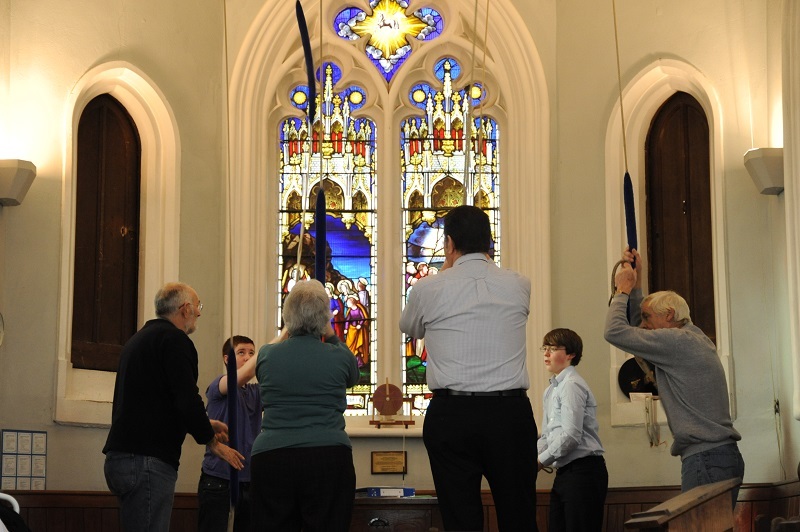 If you enjoy the sound of church bells, and have at least some sense of timing, why not become a bell-ringer?? Ringers can be any age from 11+ to retired. The younger you are, the quicker you learn, but retired people can also learn to ring well. All you really need is to be fit enough to walk up the steps. There aren’t any lifts in church towers, and most ringing chambers are high up! We are fortunate at Frenchay to have a very accessible ringing chamber, with a view into the church below. Although bells are heavy, you don’t need strength once they are swinging. It is just a matter of keeping the rhythm of your pull steady on the rope. Some people master the art quickly, some longer, but one day, when you least expect it you will find that you have ‘got it,’ a bit like riding a bicycle. Then comes the challenge and pleasure of ringing with other people, from rounds to methods – everyone is important – a real team effort. 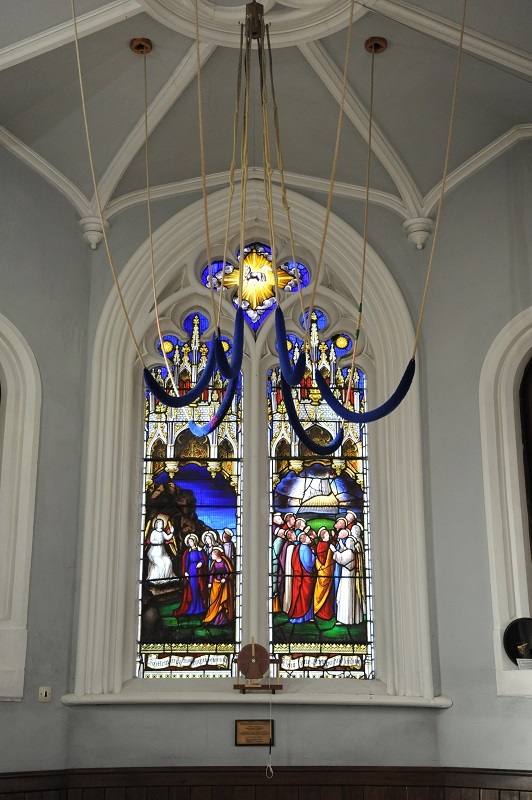 We ring for church services, and weddings, also to ring in the New Year, and special occasions. We also ring with the bells half muffled for funerals and Remembrance Day. If you would like to come along and see what it is all about, our practice night is on a Monday 7.30pm – 9pm.